When working out of a new kitchen, the first thing we do is hang photos to call in our Ancestors and Elders to guide us. Jocelyn made a run to the garden and neighboring fields to pick flowers and greens to make centerpieces for our workshop dinner at Montalvo. Sita starts off the workshop with the first plate. Guests serve themselves out of of shared family style platters. Saqib breaks down the history of the Black Panther's Free Breakfast Program. Sita talks about her own family's recipes for rebellion, inviting participants to think about their own family food stories. Jocelyn closes the workshop with a family song, inviting participants to join her. Our facilitated group workshops, cooking classes, and facilitated meals are well suited to corporate team building, university classes, and retreats of all kinds. 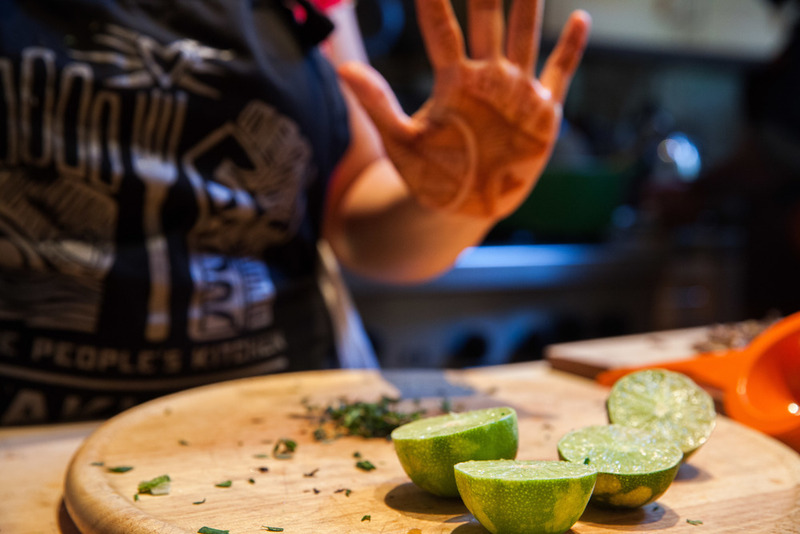 We focus on food education and using food as a tool for deconstructing complex topics like decolonization, systemic oppression, and migration. Our workshops have been featured at Montalvo Center for the Arts, University of Oregon, University of California at Davis, University of California at Berkeley, Stanford University, Claremont Colleges, and so many more public and private institutions. 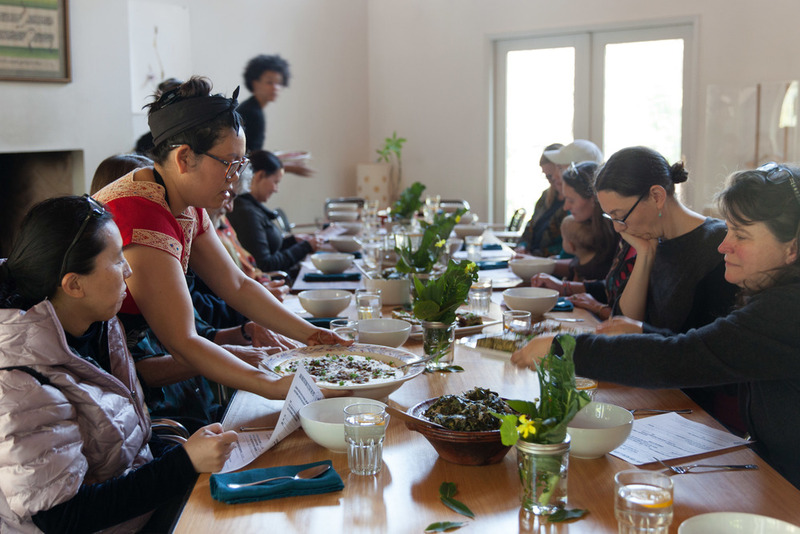 Some of our workshop topics include "Decolonizing Food," "Recipe For Rebellion," and "Kitchen Remedies."